The housing sector in India is on a path to revival. Customers have started to think about fulfilling their dream of owning a home. Here are a few key pointers that first-time homebuyers should keep in mind before zeroing on their maiden nest. Home buyers should be aware of the costs involved in the buying a house. Cost of the property, floor rise charges, car parking charges, club house membership fees, service tax & VAT, registration charges and initial maintenance charges. A thorough check of the property should be done by the buyer. It is very important to carry inspection of actual physical condition of the property. It is always advisable to conduct a thorough due diligence on the background and profile of the developer, including delivery track record, quality of construction, etc. Documents such as title deed of the land, property tax receipt and bills, encumbrance certificate and survey sketch of property, land records, chitta copy, adangal copy, patta, etc. need to be verified before buying the house. 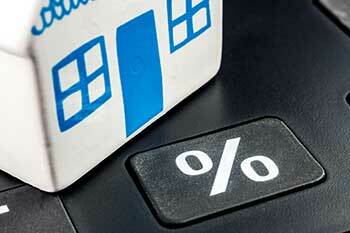 Credit score of an individual plays a vital role in the banker's decision to consider a home loan application. It is assessed by the bank as per its internal credit score criteria for various home buyer segments. Banks also require documents such as proof of identity and residence, bank account statements for the past six months of all applicants, personal assets and liabilities statement and of course, a duly completed loan application form. Borrowers should also have clarity on aspects such as lock-in clauses, exit penalties, processing fees, and interest rate on the home loan sought. Banks typically require borrowers to make provision of 20% down-payment, while availing a home loan for the remaining 80% which is provided by the bank.